Hello. I hope you had a good weekend and found some time to relax. 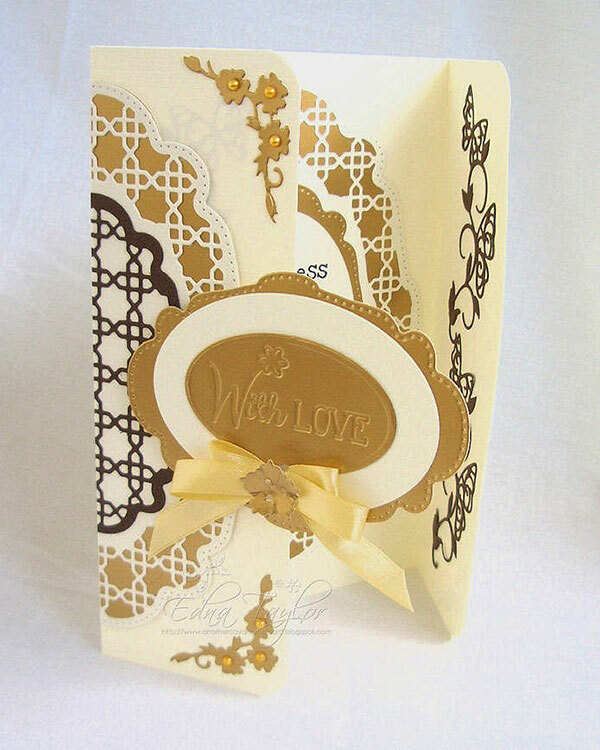 My card today is an A5 gatefold and uses a variety of Tonic dies with the gorgeous Deco Oval Trellis as the main feature. It was a bit difficult to photograph so I've had to get a couple of angles! I cut the main panels in the cream, gold and brown and adhered them together before cutting them down the centre and gluing them to the card fronts. I then cut a second panel in cream and gold and used this as the insert to my card. 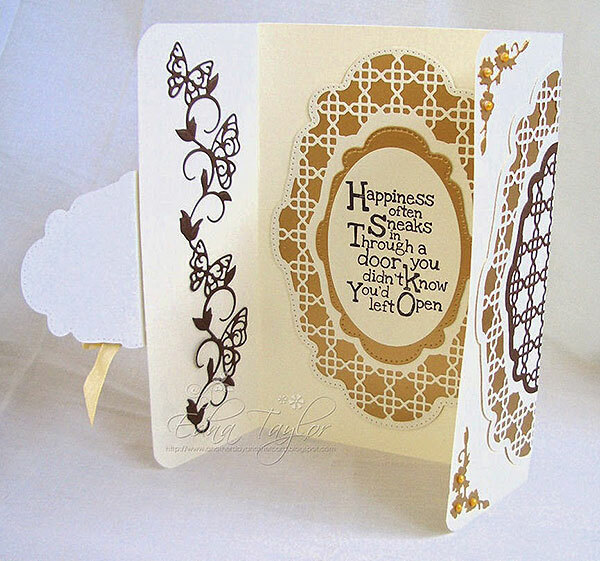 I've decorated the inside of the folds with the Butterfly Sprig Rococo Petite die. Thank you for calling in today. I hope you are enjoying your new dies or perhaps adding them to your wish list for now.